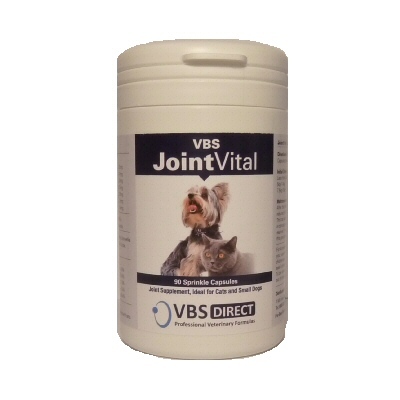 VBS Direct Ltd - VBS JointVital Small Dog - Innovative solutions for the veterinary professional. After the initial dose period, the daily amount can be reduced by half a capsule per day for the following week. This can be reduced on a weekly basis by a further half a capsule per day until a level of half the initial dose is reached. If your dog or cats condition deteriorates during this period please contact your vet.